A month or so ago a friend suggested I start a blog as an outlet, a chronicle of the thoughts and ideas inside my head. Actually I’m severely short on word quotas this month due to only having 4 small children to converse with and Facebook doesn’t have enough words in a single post to use them all up. Enter Google! ” how to start a blog” and the first thing to do is … get started! So I am and learning as I go. At some stage I wish to add to the pool of useful parental knowledge gleaned from propagating four healthy specimens of the human race and impress the ether with my witty observations of the nexus between rugby and basketball via my enthusiastic if completely inaccurate (what was that coaches name again???) commentary on my husband’s State Basketball League games. Even when he is not in the building, I mean, on the bench. Yes dear. It is a goal not a try. Perhaps I may even birth a Multi-Level Marketing Empire! Thousands of people can benefit from my mentoring expertise as a Consultant for Phatt, health advocate and social media star extraordinaire! On that note I am off to cook dinner, do dishes, feed the baby, change her nappy, and supervise bedtime routines. But tomorrow I shall take over the world! Muuaaaahahaha! 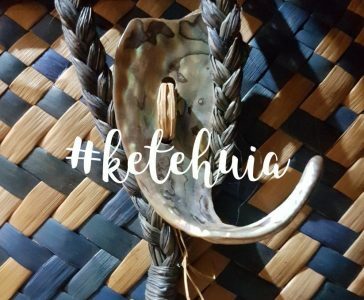 Next Post Ketehuia – talking about baskets … Wait, what’s with the birds?? ?